Turkish police have raided an Istanbul office of the pro-Kurdish opposition party HDP and arbitrarily detained several senior officials, party officials said. The arrests come as President Erdogan called for legal action against the party’s members. 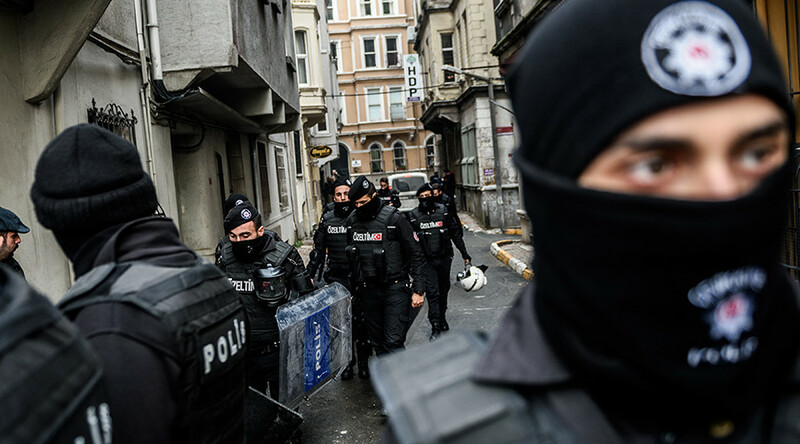 Five members of the left-wing pro-minority Peoples' Democratic Party (HDP) were detained in a police raid on one of its offices in Istanbul, according to party representatives. Special forces reportedly took part in the raid. Among those arrested was HDP Beyoglu branch Co-chair Rukiye Demir , Today Zaman reported. Party officials said no reason was given for the arrests. 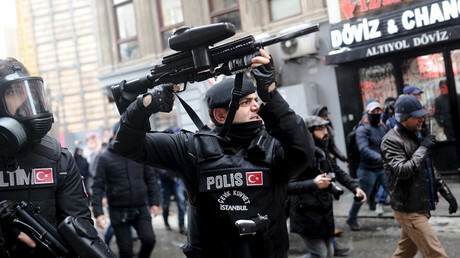 State-run Anadolu Agency reported that the raid was part of a crackdown on urban networks of the Kurdistan Workers Party (PKK) group's youth wing. PKK is outlawed by Ankara which considers it a terrorist organization. Meanwhile, police said that the arrests were part of an investigation into a murder suspected to have been carried out by PKK supporters in June 2015. Police said in a statement that they relied on a tip off that the murder weapon was in the HDP building in Istanbul. HDP is parliament's third-biggest party and a vociferous critic of Erdogan’s policies. The HDP raid follows President Recep Tayyip Erdogan’s renewed calls for legal action against the party’s members and his welcoming of the criminal probe into the HDP leaders’ calls for Kurdish autonomy launched last week. Kurds have long been campaigning for the right to self-determination and greater autonomy in Turkey, where they are the largest ethnic minority. In late December, a congress of Kurdish non-governmental organizations called for Turkey’s southeastern regions to be granted autonomy via constitutional reforms. Ankara has been stepping up its military operations on the border with Syria and Iraq since December. Erdogan has vowed to continue the operation until the area is cleansed of Kurdish militants. The arrests come as the HDP continues to loudly voice opposition to Ankara’s military operation, which the authorities describe as an anti-terrorist effort. HDP says that the operation is not anti-terrorist, but against the people and urges the use of diplomatic means in resolving the Kurdish issue. “This is slaughter. This operation is not against the rebels. It’s against the people,” HDP spokesperson Feleknas Uca told RT earlier this week. More than 70 civilians in three southeastern towns have been killed since Ankara began its latest military campaign in mid-December, according to HDP figures. According to Turkey’s General Directorate of Security about 100,000 have been displaced since the start of the operation last year.